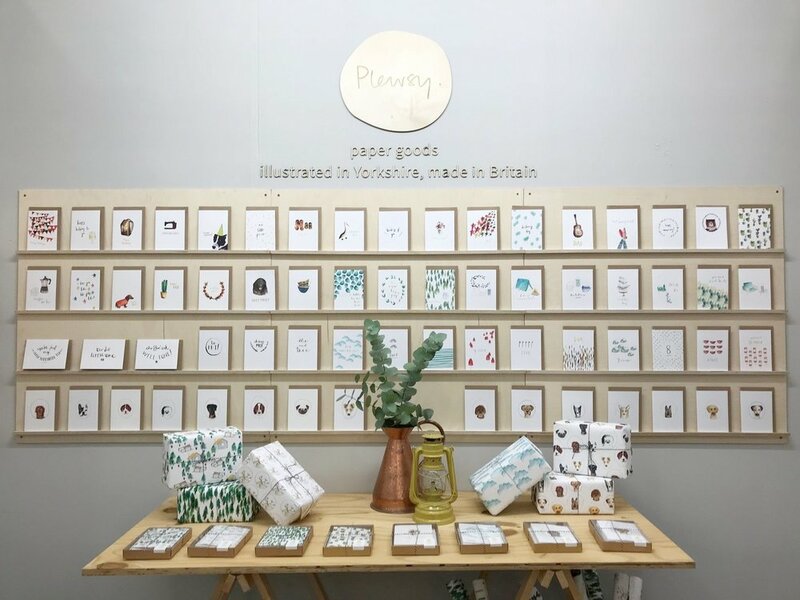 Can't believe it's a whole 4 weeks nearly since we exhibited at PULSE London. It was our 2nd year on the bounce and was once again a great show. We hired a van to get all the products and stand props down from Yorkshire to the big smoke, set off early Saturday morning and arrived in time for a quick lunch and a speedy set up. Now when I say speedy, it was our quickest time of 5 hours! it usually takes a little longer, but the more times you exhibit at a show, the quicker it gets, especially if you plan and prep before hand. I opted for a similar set up to last year as the designs are quite similar, it's the product that has developed. So I had a feature shelf for the NEW greetings cards with captions, and we featured the kitchen ware in it's own area, making a stand out show of the tea towels in particular! Overall the footfall seemed down from 2017, but the number of visitors to our stand was great, and the orders we received were healthy. Many buyers tend to go away and come back, sometimes even a year later! Product wise, our kitchenware was very well received, along with art prints and cushions. So as I'm sure you're all aware by now, we have recently collaborated with the Hayward Gallery, on a range of home ware and stationery products. The gallery contacted us back in September 2017 and commissioned a bespoke collection, exclusive to the Southbank Centre, a world-famous, multi-venue arts centre based in Central London. 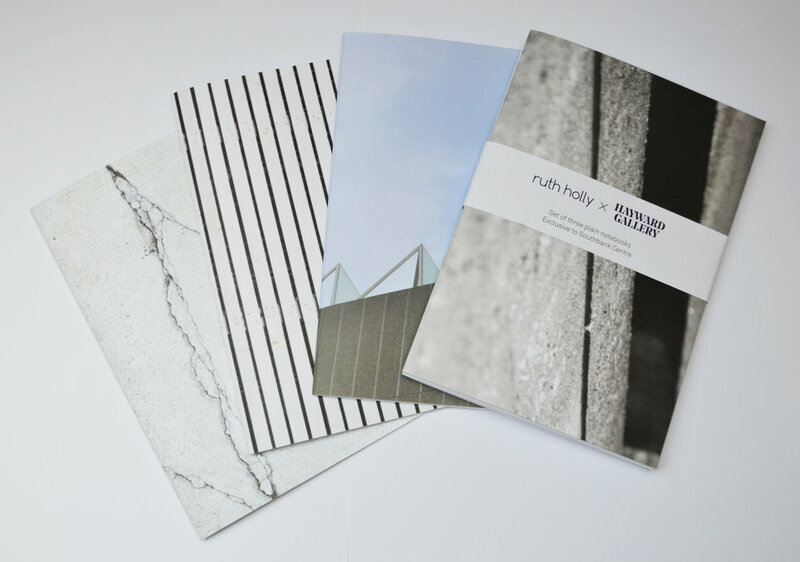 Chosen for my design ethos; "designing thoughtful, tactile products that inspire the viewer to look longer and deeper at raw beauty", I was thrilled to be given the opportunity to portray this Brutalist style gallery in a beautiful and commercial way. The controversial 1960/70’s 'Brutalist' architectural style, is so often dismissed without consideration of its true merits. It’s so fulfilling to showcase these for what they really are. 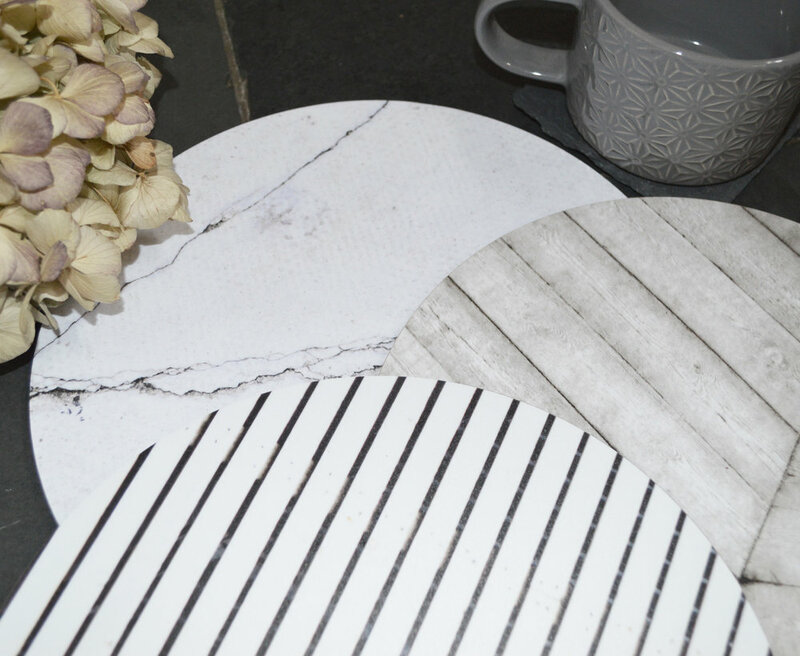 The collection is urban and raw, but with a soft feel, it was a really fun challenge. To purchase any of these beautiful products, please visit Southbank Centre’s online shop, or visit their museum stores. So incredibly proud and happy to share my news of a collaboration with The Hayward Gallery, London. To help celebrate it's re-opening after a 2 year refurbishment, I've been designing, developing and creating a range of exclusive prints, inspired by The Hayward's brutalist architectural features. The Hayward Gallery is a world-renowned contemporary art gallery within the Southbank Centre, part of an area of major arts venues on the South Bank of the River Thames.